2017 Restoration Project is Complete! 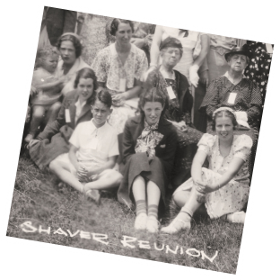 You are cordially invited to the 2015 Shaver Reunion and Potluck Lunch! Registration will start at 1:00 pm. Please bring sandwiches, salads, desserts or other snacks to share, as well as your picnic basket (plates, cups, cutlery etc.). We’ll have free coffee. Soft drinks/ bottled water will be available for a nominal cost. Note: The Bowman United Church is not wheelchair accessible, there are a few steps.